Place the broccoli on a baking tray lined with baking paper. Drizzle with oil, season with salt. Roast for approx. 30 mins. in the centre of an oven preheated to 200°C. Whisk together the cottage cheese, vinegar and oil, season. 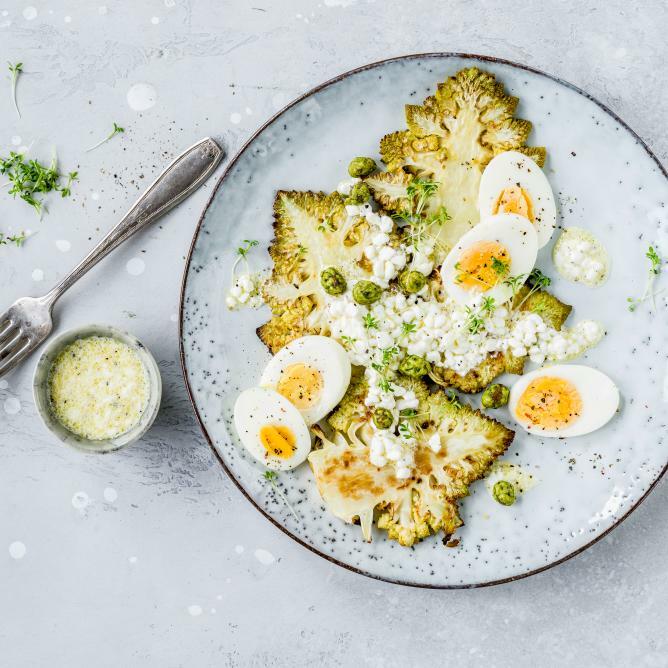 Plate up the broccoli and eggs, drizzle with the dressing, garnish with the cress and nuts.